Ever since Google began providing the residents in Kansas City the option of signing on for its Fiber service in 2011, the tech company has offered a hard-to-refuse deal: pay a one-time installation fee, and you get internet access for free – in some cases up to seven years. But it looks like the almost-free ride is over. Fiber is dropping the free 5Mbps service in exchange for a $50/month 100Mbps option starting next month, Re/Code reports. Google quietly removed the free option from its Kansas City service lineup over the weekend. The outgoing service, which will still be available for some low-income households, provided free 5 Mbit/s download and 1 Mbit/s upload speeds for users once they paid a $300 installation fee. Google has dropped the $0/month Fiber option in Kansas City. 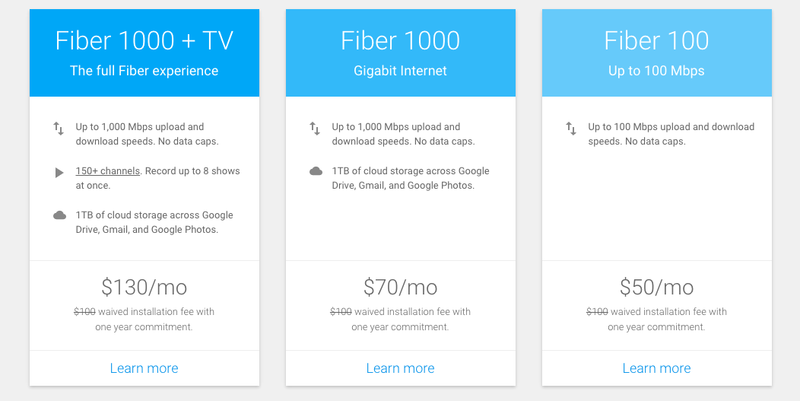 The new $50/month option, known as Fiber 100, is faster and comes with no construction fee or contract, according to Google. 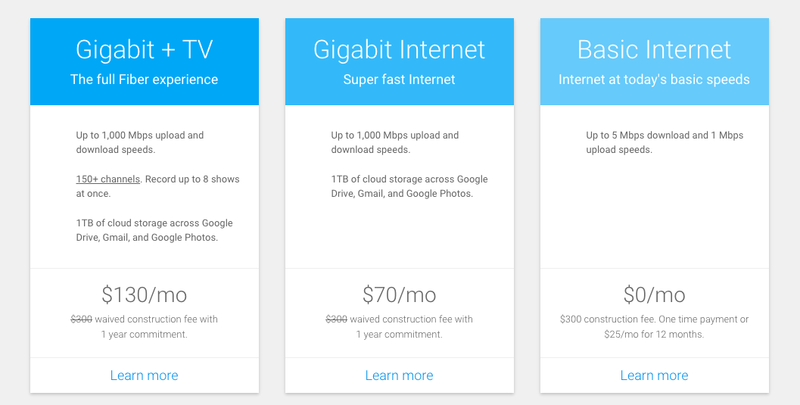 Google’s new Internet service offerings. The company confirmed the change with Re/Code, but declined to comment further. However, Ars Technica reports that the Google will honor existing agreements with customers who were promised seven years of service when they signed up and will continue offering the deal for new signups until May 19. While it’s unclear why Google decided to do away with the free option – which is currently still available in other Fiber cities Austin and Provo, UT, but not in Atlanta – the change could be a signal that the tech company feels its product is no longer experimental, but a real competitor for traditional, broadband cable companies.